While gas furnaces by law must have an efficiency rating of at least 78 percent, many propane furnaces have an astounding 97 percent efficiency rating. Before you purchase one, you should research propane availability in your area. 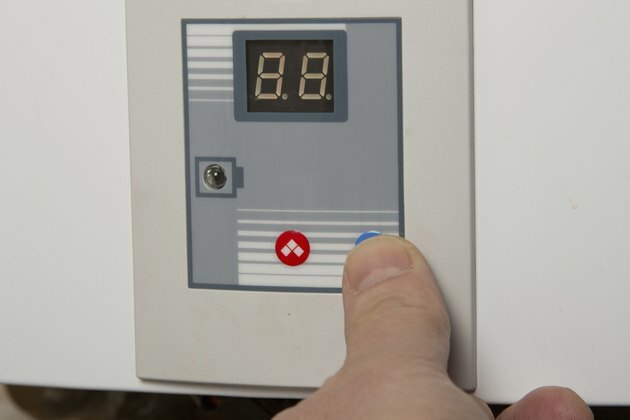 It's pointless to install a propane furnace if propane suppliers are few and far between. Secondly, decide which furnace type is cost effective. If you're living in a small home and plan to move in less than five years, installing a high-efficiency propane furnace may not be cost effective. Reviewers recommend a multi-stage furnace if you can afford it. While conventional furnaces cycle on and off, two and three-stage furnaces use variable-speed and conserve fuel. Finally, decide which type of propane furnace makes sense. If you live in a mobile home, one without vents and duct work, a wall heater makes more sense than a central furnace. During winter's peak, the cost of propane per gallon might seem cheaper than heating oil, but the two are not really comparable. Heating oil generates approximately 130,000 British Thermal Units (BTU), which is a measure of heat output; propane generates approximately 95,000 BTUs. However, because propane furnaces have an efficiency rating of 92 to 97 percent, and oil furnaces average 85-percent efficiency, if just comparing fuel differences, the difference is negligible. Remember that a furnace's efficiency rating is an estimate. If your home is drafty and poorly insulated, you won't realize maximum cost savings. Take energy-saving steps to weather-proof your home before you purchase a high-efficiency propane furnace. Then research the right model on Energy Star (see Resources). The best propane furnaces--Thermo Pride, System 2000 and many others--are endorsed by Energy Star. By law, Energy Star furnaces must have an annual fuel utilization efficiency (AFUE) rating greater than 85 percent and highly efficient blower motors. While many home improvement stores like Lowes, Home Depot and Sears do carry Energy Star brands, furnaces are generally sold through installers and not direct-to-retail. Because there are limited propane-only models, most gas furnaces have propane conversion kits; propane furnaces can use the same vent, flue and ducts as gas. System 2000 by Energy Kinetics is a fuel-neutral furnace/boiler that works with any fuel type and conserves heat by recycling it. Visit Energy Kinetics for quotes and installers in your area (see Resources). Consumer Search reports that the average installed cost of a new gas furnace ranges from $2,000 up to $6,000. Final costs are based on whether installation includes duct and electrical work, a new boiler or a more efficiency air conditioning system, if all use the same duct work. Although Energy Kinetics claims 40 percent savings on fueling costs, equipment costs aren't published. The website Energy Star reports that homeowners who install a propane or natural gas furnace with an AFUE of 95 may be eligible for a tax credit up to 30 percent. In order to qualify, the furnace must be installed in a "principal residence" before December 31, 2010. In addition, homeowners must obtain a manufacturer’s certification statement, which is a signed statement from the manufacturer certifying that the product or component qualifies for the tax credit. When filing taxes, a homeowner must also submit 2010 Form 5695 with 2010 tax returns. Manufacturers should provide these certifications on their website. Call the manufacturer or search the website. EPA does not have copies of the Manufacturer's Certification Statement. Taxpayers must keep a copy of the certification statement for their records but do not have to submit a copy with their tax return.